Notwithstanding the President Xi Jinping becoming autocratic ruler of China, trying to take Asia under his wings, and no significant change in Pakistan’s behavior in recent times (including recent spate with diplomats), India has to deal firmly with both, on our terms. In this context I am sharing an Interview of mine by Financial Express (Indian mainstream Daily Newspaper) on Pakistan, China & related issues, published on 24 Feb 18, with friends. The 10 February attack on Sunjuwan army camp by heavily armed attackers has once again raised tempers in India. Considered to be one of the worst attacks in recent times in Kashmir, the tensions have again fuelled between the two nations whose ties already lie at a very low point. The 10 February attack on Sunjuwan army camp by heavily armed attackers has once again raised tempers in India. While India alleged that the attackers were the members of Pakistan-based Jaish-e-Mohammad (JeM), Pakistan has contested the claim saying it’s baseless to rush to judgement without complete investigation. Considered to be one of the worst attacks in recent times in Kashmir, the tensions have fuelled between the two nations whose ties already lie at a very low point. The present scenario is not very much in favour of Jihadi-oriented Pakistani military and ISI, and only option left with them is to inflict heavy casualties on Indians through proxy war, defence commentator Major General (retd.) Shashi B Asthana said. However, after the surgical strikes the mental barrier of crossing LoC and Pakistani bluff of using tactical nukes once LoC is crossed by Indians has been called and such strategies won’t work any longer for them, Major General (retd.) Shashi B Asthana told FE Online. Q. Attack on Sunjuwan army camp has once again raised tempers on the Indian side. How do you see the entire situation shaping up in the coming days? Attack on Sunjwan army camp is neither the first nor the last attack on Indian side. I do appreciate the sensitivities of the casualties and other side effects of it, but we have to analyse the bigger picture of these activities. Post 1971 War, Pakistan started treating India as ‘Éxistential Threat’ and the same was echoed by their Prime Minister Abbasi in New York, when he went to address UNGA last year. After the division of Pakistan into two in 1971, Pakistan Army never forgot the defeat with 90,000 prisoners. It sold the narrative to people that they are the ones who can protect Pakistan and keep it together; hence the real power should rest with them. President Zia-ul-Haque, declared the country as Islamic state, and nurtured Jihadis to impose a war of “Bleeding India with thousand cuts”. President Musharraff started treating militants as ‘Strategic Assets’ and used them as such in Kargil War. The present generation of military has now tasted power hence their thinking is unlikely to change easily, unless the cost or penalty is made too heavy globally. With this as a backdrop, the current situation is not going in favour of Jihadi oriented Pakistani military and ISI. The US is squeezing its purse, as is evident per new US National security strategy, Defence Strategy and Afghan policy for not putting adequate pressure on Taliban, Haqqani Network and al-Qaeda. There is a global pressure on them because of harbouring, facilitating and training UN designated terrorists. The drone attacks of US, killing important militants inside Pakistani territory, despite Pakistani warning not to do so, has shattered the credibility of Pakistan Army, with their sovereignty violated repeatedly. TTP is putting internal pressure by targeting their Army camps, causing heavy casualties to them and their families. Under these circumstances, the only option left with Pakistani Army and ISI is to inflict heavy casualties on Indians through proxy war coupled with ceasefire violations. On Indian side also, after the surgical strikes the mental barrier of crossing LoC and Pakistani bluff of using Tactical nukes once LoC is crossed by Indians was broken. With over 200 militants killed last year by Indians, it is evident that bulk of the terrorists were Pakistanis exposing their design of Proxy war. The synergy between security forces, actions of NIA against separatists, demonetisation and cash crunch with militants have frustrated the Pakistan based anti-Indian terror groups, Pakistani Army and ISI. They are now in a situation that to prove their terror credibility and potential, they have no other option but to keep trying more fidayeen attacks on Indian establishments and increase cross border firing, and claim victims whenever India retaliates strongly. 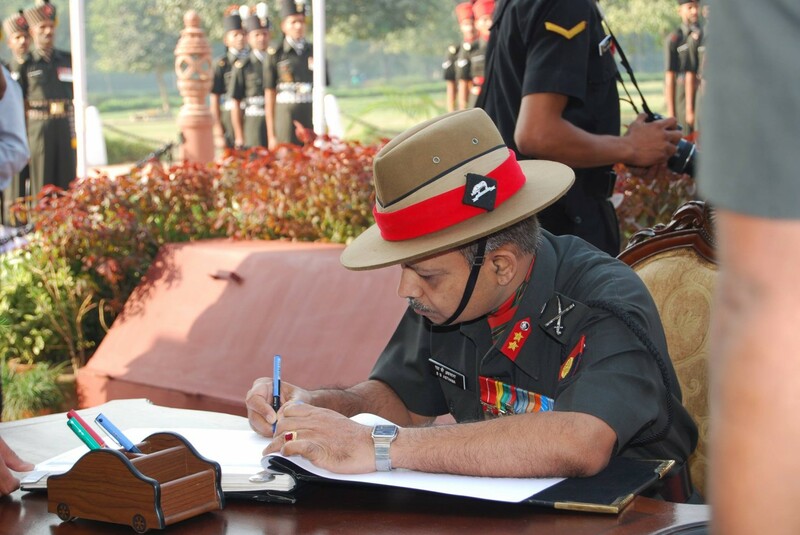 I therefore anticipate more such attacks, and ceasefire violations in coming days. Q. Has India been too soft in dealing with Pakistan for the last many years? Over last few decades, although the Indian response may appear to be soft, but in my opinion, it has been rational and balanced. While many may suggest a harder response, against a nuclear country, but this needs to be analysed in cost-benefit terms. If India opens up a front outside LoC for offensive action, it will amount to a conventional war, which will pull back our country back from its economic growth and prosperity. It may also leave weaker Pakistan establishment which may easily get pushed to radicalisation. It’s my assessment that a radicalised Pakistan is not in security interest of India, US and the world. Indian response therefore has to be in counter proxy domain coupled with diplomatic and political initiatives. We need to adopt both the overt and covert options simultaneously. Besides taking up Pakistan’s support to terrorism in every world forum, we need to work with other likeminded countries for choking terror funding. We need to first declare Pakistan a terror state ourselves. We also need to scrap the MFN status to it. We should globally support the cause of Baluchistan. We need to utilise full quota of water authorised to us under Indus Water Treaty. We also need to increase our hard power by faster induction of appropriate offensive weapons and equipment. We need to get strike drones like US Army for precision strike on militant camps or leaders. India needs to be much tougher inside Kashmir against separatists. We need to expedite convictions of separatist leaders. Bulk of the population is innocent but some separatists, members of terror industry, and some terrorised politicians or influential people working on ISI narrative need to be taken to task. Vote bank politics has made India soft, considering separatists as vote banks, hence they prospered to a level that they continue to fund terrorists or stone palters or crowd managers or recruiters of militants or informants and yet continue to enjoy Government protection and privileges. Some of the local politicians or opinion makers either under coercion of militants, or allurement from adversary do not seem to be very keen for situation to improve in Kashmir, as they do not want to leave or reduce the privileges offered to them by Article 370,35A, and additional aids due to being disturbed area and appeasement policy of Centre since ages. We also need to have state of the art surveillance system for our camps for better protection as recommended in many reports mentioned in media recently. There is also a need to relocate some of the military camps located at vulnerable places like main roads or villages as per the assessment of present commanders. Q. Not only Pakistan, even concerns related to China has been heating up in the last few months. The entire Doklam issue is evidence to it. How should India in your view counter all these issues? It is a geographic fact that China and Pakistan are our next door neighbours and we do not have the luxury of choosing our neighbours; hence we need to create conditions to live together without sacrificing our national interest. An independent, robust foreign policy suitably backed by all other elements of Comprehensive National Power can ensure that. We have a self belief that India is a strong country, which can stand to China, whenever our national interest is involved. The mere fact that India boycotted BRF, continues to oppose CPEC (As it violates its sovereignty) , is likely to overtake Chinese population by 2030, likely to be fastest growing economy, has the largest young technically qualified, english speaking manpower in the world, and most importantly the largest market for China in next decade, China cannot afford to ignore India anymore, if it has to fulfil its stated dreams, stated by President Xi Jinping in 19th Congress. I therefore see India China relations as of “Unavoidable Co-operation with Competition” together, as both need each other’s consumer markets to grow further. The trade imbalance may not remain so in next decade, and China is aware of it. Although China is a much larger economy, but India is also the fastest growing economy. China’s Defence Forces are larger in numbers, but it has much larger boundaries, concerns or commitments, and its capabilities are yet to be tested after 1979, whereas Indian Forces, though smaller in numbers, have been on winning streak since 1971. This is however certain that both countries are strong enough to the extent that none can dictate its strategic choices to another. Both countries have stable relations with each other since 1962, and I do not see the prospects of any Sino-US conflict in near future, although some divergences like South China Sea, Doklam and some other areas where differences exist on borders, may lead to some strategic or military standoffs along with political alliances or posturing in near future. The Sino-Pak Nexus is a challenge which India has to deal with. In this case the global power play is changing equations quite fast. The global community is fed up of terrorism, and Pakistani Army and ISI are in no mood to divorce their nurtured strategic assets. China can give symbolic help to Pakistan in this regard like delaying JeM declaration as UN designated terrorist, but Pakistani militants support to ETIM operating in its backyard, and its concern of security of CPEC may not let it help beyond a point. The fact that China was quite during US drone attacks and Indian surgical strikes justifies the point. In my opinion, we need to work on our security strategies. We need to have a matching infrastructure development on our borders as compared to China. We also need to modernise our Defence Forces and associated Security Forces to be able to project power, as per the demand of our national requirement. The meagre defence budget of 2017-2018, indicates that either the security policies have not been given due impetus and the professional inputs have either been ignored or decisions have been taken by a layer of hierarchial structure that does not understand that defence capabilities need much longer time to generate. If the statistics of media is considered authentic, we need to overcome the existing hollowness, which needs faster deliveries and accountability of agencies responsible for slippages. We also need to improve cyber, space and technological capabilities. Synergy between various Services is reasonably all right and we should not tinker existing structures of Armed Forces, just because our neighbour has done so. Globally, Chinese aggressive behaviour in recent past in South China Sea and neighbourhood has pushed all other powers which are immediately affected by it, much closer. The Quadrilateral Security Dialogue (QUAD) may be at official level talks on sidelines of Association of Southeast Asian Nations and East Asia Summits, may be an old idea with limited scope today, but it signals thinking and talking about balancing China’s growing assertiveness. The signal seems to have reached China as its foreign office shows concern that it should neither be politicised nor exclusionary. Malabar exercise in Bay of Bengal and global use of word ‘Indo-Pacific’ instead of ‘Asia-Pacific’ (cutting out China from it), Asia- Africa Growth Corridor are some examples of it. Quad may not be a relevant balancer today, but it may become formal, relevant and powerful in future, in case Chinese stance continues to be aggressive. India’s strategic partnerships, ‘Act East Policy together with Act West’ would be my take to handle the twin challenge of China and Pakistan. Q. Don’t you think the recent standoff at Doklam exposed the slippery nature of the relationship between India and China? Do you really see an end to India’s border troubles any time soon? I think the Sino Indian Relationship should not be viewed from the narrow prism of Doklam Issue. The two Asian giants have to cooperate to fulfil dreams of their people and the relationship cannot be hostage to such diversions. There are enough fields where India and China can cooperate regionally and globally. Counter terrorism, Disaster relief, climate change, are some such fields. Both being developing countries are on the same page regarding WTO. Trade, connectivity, anti piracy missions and various technological fields are some areas where both have convergence of interests. The growing trade and tourism relations are the cornerstone of relationship between India and China. Most importantly the trade between both countries is swelling every year, which by itself increases the stakes of the conflict, and is serving as a conflict prevention measure. The India China Border problem is a very complex problem because each side reads history as it suits it, and takes a position which continues to grow stronger every passing day. There being no formal Border Agreement between Independent India and PRC, the interpretations of old agreements are being played by China to its advantage. In this context I do not see the resolution of Borders soon. In the meantime, to prevent any Sino Indian conflict a lot of Confidence Building Measures (CBMs) have been put in place. India and China have a Border Peace and Tranquility Agreement (BPTA) in place and no bullet has been fired on the borders since last four decades. Additional measures like Border meetings between local military commanders have also been in vogue to resolve minor misunderstandings. Twenty rounds of border talks have been held and continue to be in progress. Although China has talked of better relations with India in 2018, Post 19th Congress of CPC, China continues to encroach in Indian neighbourhood without talking about the core issues. The visits of Chinese Foreign Minister alongwith Russian Foreign Minister did not yield anything worthwhile, with each side quite firm on its stance on issues of divergences like BRI. On the controversial border issue there is a crying need of delimitation, definition and demarcation of LAC, and the demarcation be known to the troops manning it, if both sides want to avoid stand-offs. The Chinese however seem to be singing the old tune of better border management and confidence building measures to prevent it, which to my mind is an excuse by China to postpone LAC demarcation, which is the core issue to prevent faceoff or standoffs, despite 20th round of talks. The recent pressure on Bhutan and some construction in Chumbi valley indicates selective forward posture by Chinese, which may increase the chances of Face-offs or Standoffs. Let us see what our bureaucratic system, claiming to take responsibility of Defence of the country (when it suits them), instrumental in minimising defence budget to lowest level since 1962, have to offer to the country in tackling the twin external threat.